Date : AD 238 to 239. Size : 21.9 x 22.9 mm. Weight : 4.62 grams. Grade : XF, very well centred on a large flan. 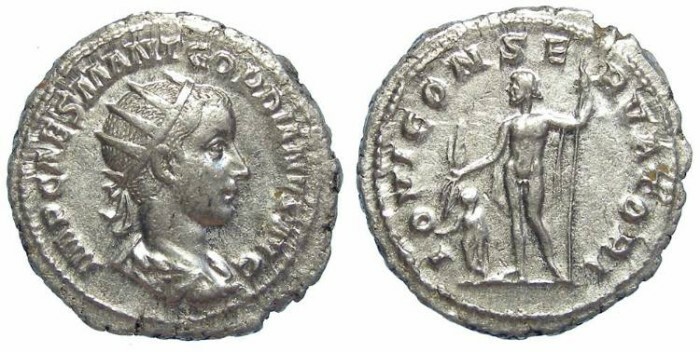 Obverse : Radiate head of Gordian right, with IMP CAES M ANT GORDIANVS AVG around. Reverse : Jupiter standing forward with head left, holding a sceptre and thunderbolt, with a small figure standing below his hand, with IOVI CONSERVATORI around.